Perdita’s still dealing with the consequences of her actions when her enemies change their targets with no warning, but it’s the unexpected betrayal of those closest to her that hurts the most. When her world shifts beneath her, Perdy has to figure out how to stay standing without losing any more of herself to the werewolves. Nathan’s watching everyone pull away from him, but he can’t control his destiny. He keeps trying to protect his loved ones, but something always seems to get in the way. A public attack has everyone talking about wolves, and all eyes are on his family. His grandfather has lost his mind, and Nathan’s caught in the crossfire, but all of his choices will cost him a sacrifice. One way or another. Nobody’s watching Amelia… Big mistake. When is the second book released ? Hi, Kerry. The next book is due for release in March of this year. you are an AMAZING writer!!!!!!! i couldnt stop reading the book once i started reading it i mean it!!!!! i cant wait for the next book!!!!! i was wondering since its march already if you know when the exact day in march its going to come out? I just finished reading verity and just wanted to say what a fantastic book it was. I am constantly reading and after awhile, some of the books start to blend together and are hard to tell apart. However I found your book to be refreshing and I am truly excited to read clarity. Thanks for giving me a change of pace!! Can’t wait to read your other books!! I totally agree!! I read Verity in either November or December last year and since then I have read more than 30 other books of a similar genre….I have to say that even though I absolutely loved most of them, I can only remeber what a few of them were about really clearly. I am very happy to say that Verity is one of those books! Well done and thanks from me too!! That’s a lovely compliment, Lauren. Thanks for visiting; it’s always nice to wake up to comments. 😀 Happy reading! just finished the first one… can’t wait to read the second!!!!! I have read verity and i loved it and I cant wait to read clarity but i cant find anything anywhere that will tell me what clarity is going to be about??! Does anyone know where i can find something???? That’s because I haven’t written a blurb for it yet. 🙂 This page will be updated with more information (cover, blurb) next month. just finished verity and was bril!!!!!! cant wait for the next one love wolves and reading so the two together yay!!! Oooooo Thank you i have been dying to read the blurb (and book) both the books sound really good! i cant wait! thank you for the books!!!!!! I think the blurb is REALLY good! is there a release date?? yay!! Can’t wait!! Thank you!! My god the cover is amazing! I LOVE IT!!!!! 😀 Okay, you got me there 😉 ..guess I am a LITTLE impatient. I have also read the Ava Delany series and know there’s a 4th to that series as well? Is there a release date in site for that as well? Hi, Kat. I can’t give you an exact date right now, but I’m confident it will be before the end of the month. The ebook will most likely be earlier than the paperback. Now I feel bad because you’ll probably have a whole host of new questions by the end of this and Adversity (if you have any interest in reading that one). Hopefully, the final book will be out at the end of the year and answer everything. I’m kind of looking forward to it, kind of terrified, too. when you know the ebook release date can you let us know….thats the one i’ll be buying, cant wit now claire, so excited! Sign up to the newsletter, and you’ll be the first to know. 😉 Hope you enjoy it! I check nearly every day for this book to come out i really want to read it!!!! No worries, I’m impatient, too. 😉 We’re onto the proofreading stages now, so fingers crossed that no major errors will pop up! Sorry, Kat. I’m still waiting to hear back from my editor. I’ll let you know as soon as I hear anything. its coming out this weekend? It will be out on Amazon and Smashwords by this weekend. Sign up for the newsletter to get a copy a day or two early. When is it going to be outtttttttttt!? Soooooon. The last proofreader sent it back, so I reckon it will be live on Amazon and Smashwords by next weekend. I was just wondering if this book will be available for Nook? I know – I’m not sure what’s taking so long (aside from the fact I obviously jinxed it by saying two weeks. LOL). Even Apple don’t have it up yet, and they’re usually pretty quick. T-o-r-t-u-r-e! Pure torture! I love your books *sooo* much and this was by far my favorite series!! Wow, I just read Verity and it was really good! I am looking forward to reading the next one…when does it come out? Hey, Amber, thanks for reading. 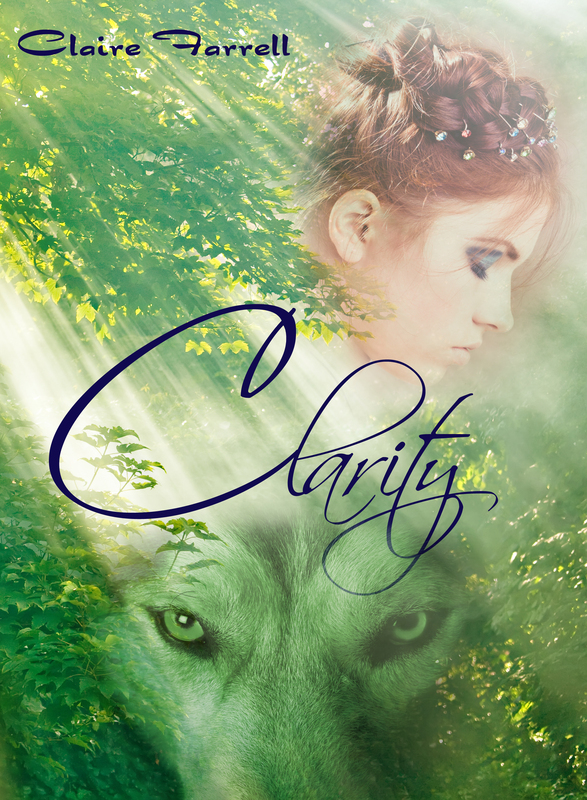 Clarity is available on Amazon and Smashwords. It’s taking a really long time to get them anywhere else for some reason. Sorry, Amber. I’ve no idea when they’ll have it ready. It should have been up there a while back. Smashwords have epub files, same as Nook. If you email me, I’ll help you out. That’s all that needs said. And of course: La la la, I love Nathan. It’ll be a while before I can give an estimated release date. I was trying to purchase book 2 on my Kindle and it is saying it is not available. Iam trying to see if this is an issue and need to go to smashwords for it. I appreciate your help. Yeah, there’s definitely an issue. Thanks for the heads up – I’ve emailed Amazon about it, so it may take a day or so to get a reply. Thanks again for letting me know! I love this book! I read verity their awesome! I’m doing a book review at school so I have to wait to read the third one for now but i can’t wait! I love how Nathan and Perdita meet. And got to fall in love or were cursed to be in love. I just can’t believe he didn’t do anything to stop her from getting hurt at the end:'( . But it was a perfect end of book 2. You are a great writer! I enjoy these books honesty.